Hello ladies! Mother's day is around the corner and this is the first time that I'll be celebrating it as a mother. I don't know what DH has planned for us, but hopefully it will be a relaxing day involving some great food. How are you planning on spending Mother's day? I love myself a flakie and I was delighted to find this Hits in my stash when I was reorganizing it. Salsa isn't like any salsa I've ever seen, but like salsa, it's something every gal should have in her arsenal. This is a squishy fuchsia jelly with the flakies peeking through easily. Like any jelly it was slightly sheer but fairly opaque after three coats. There's still some VNL but it's not really visible IRL. There's no topcoat in these pics. Salsa reminds me of the lighter pink sister of the infamous Nfu Oh 51. 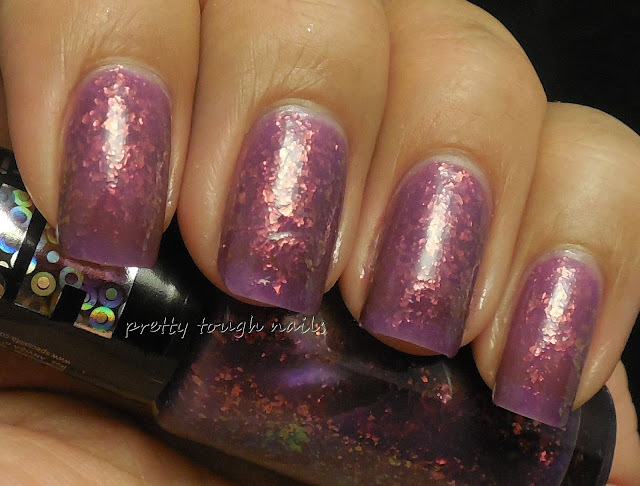 Flakies will always be a favorite of mine because it combines color shifting flakes and the vibrancy of a jelly. Have you used a flakie recently? 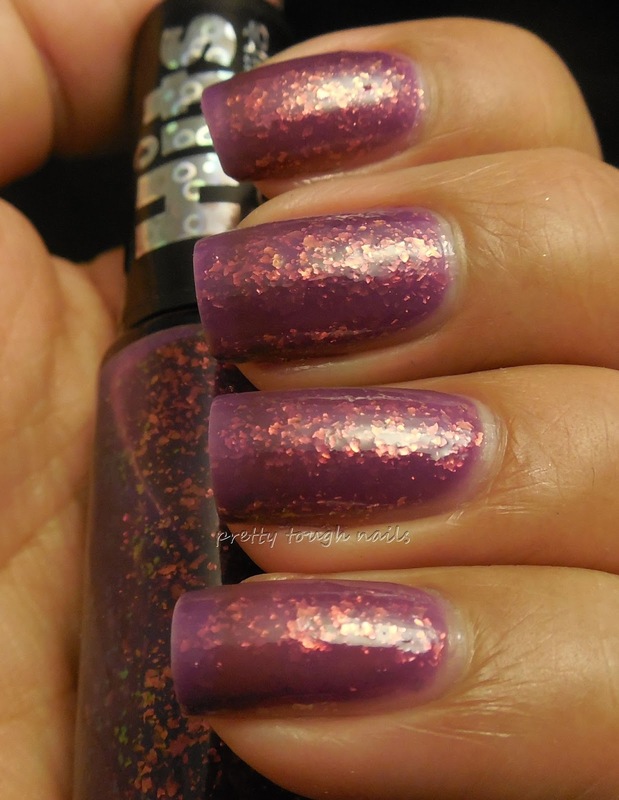 I would love it if this post inspired you to shop your stash for a new polish to try. Thanks!